Square released a meaty trailer today showcasing a bunch of story elements for their upcoming HD remaster of Final Fantasy Type-0. The trailer also provided a quick look at the content for the upcoming Episode Duscae demo for Final Fantasy XV. While I refuse to watch the Type-0 footage, I have already been impressed by much of the production values behind Type-0. The mature story angle is a welcome addition to a franchise that has languished in predictable tropes and pandering plot twists. What many will want to take a look at is a glimpse of Final Fantasy XV Episode Duscae which is expected to launch alongside Type-0 HD on March 17. While much of the gameplay had previously been unveiled after years of wondering the fate of the game formerly known as Versus XIII, there are a few things to note in this demo trailer, including what appears to be elements of stealth gameplay. Besides, all Square really needs to get Final Fantasy fans excited is a little bit of Nobuo Uematsu. 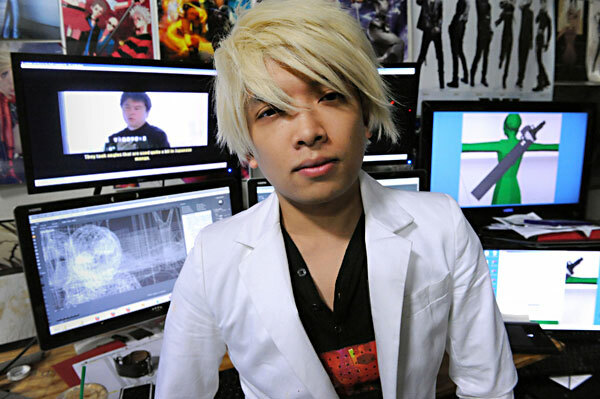 Monty Oum, one of Rooster Teeth’s most prolific animators, passed away Sunday, February 1, 2015. Oum became hospitalized late last month after suffering a severe allergic reaction to medications that rendered him comatose. Oum was unable to recover and passed away ten days later, despite efforts from family, friends, colleagues and fans. A GoFundMe campaign was set up in his name to support his hospital care where the initial $50,000 goal was tripled over the span of 3 days. A goal that was tripled before news of his passing ever broke. The GoFundMe campaign is still accepting donations that will go towards his family, which include his wife, Sheena. 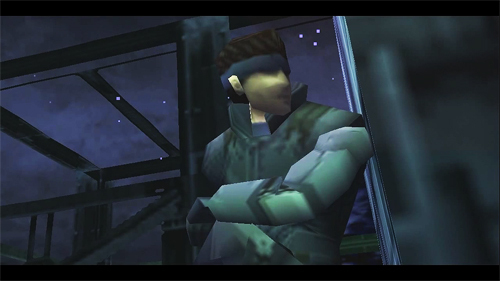 Oum became internet famous after creating his Haloid video on Game Trailers in 2007. Haloid featured character models of Halo’s Master Chief and Metroid’s Samus Aran, fighting in an all-out, sci-fi, martial arts battle. 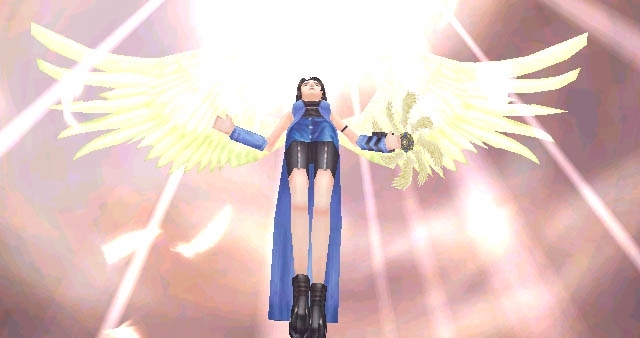 He figured out how to take the models from Halo 2 and Super Smash Bros. Melee to create the video and had a natural knack for visual flair and spectacle. Haloid would become Game Trailers’ most successful user created video with over 4 million views. Oum would follow up his Haloid success by creating the multi-part Dead Fantasy series, which pitted Final Fantasy and Dead or Alive characters against each other, a true fanboy’s dream. Oum created five full episodes, two spin-off music videos and a preview for an eighth episode. While he always teased continuing the series as it grew, Oum would find success as a professional animator by working on major music videos for Mariah Carey and Girls Generation and eventually found employment at Rooster Teeth where he became lead animator and creator of RWBY, a series that he won a Streamie award for.Oum’s videos came back when I was working at my college’s newspaper and I remember being mesmerized by the quality of his work. Yes he was creating absolute fantasies, but they were incredibly well made fantasies. 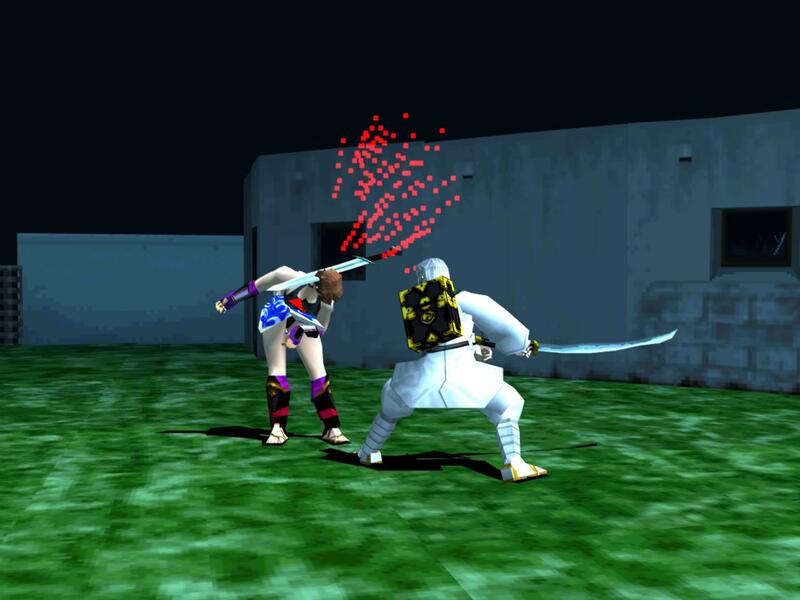 What guy in his 20s didn’t want to see Kasumi and Yuna go at it. Oum was very much a pioneer in the world of video creation, a man who was able to find success on an uncharted path. Oum is survived by his wife Sheena, his father Mony, his brothers Woody, Sey, Chivy and Neat, and his sisters Thea and Theary. He was 33 years old. Square Enix’s next entry in the Final Fantasy series will be titled Mevius Final Fantasy and be a throwback title developed for mobile devices. While the trademark for the game was filed back in October, Square Enix made the formal announcement as part of a commemorative celebration for Final Fantasy’s anniversary on December 18. The announcement was made in Famitsu and featured a get together between Square Enix’s Yoshinori Kitase and the franchise’s creator Hironobu Sakaguchi. Kitase did not go into detail for what players might expect out of Mevius Final Fantasy but mentioned that the game will feature much of what made the classic Final Fantasy games so great, in particular featuring a Warrior of Light and open map exploration. Take this information with a grain of salt as the game is expected to be optimized for mobile, which typically means the streamlining of many systems. Kitase will serve as the title’s producer with Square Enix veterans Kazushige Nojima, whose credits include FF7, FF8 and FF10, will be in charge of the story and Toshiyuki Itahana, who worked on FF9 and Crystal Chronicles, will provide character designs. 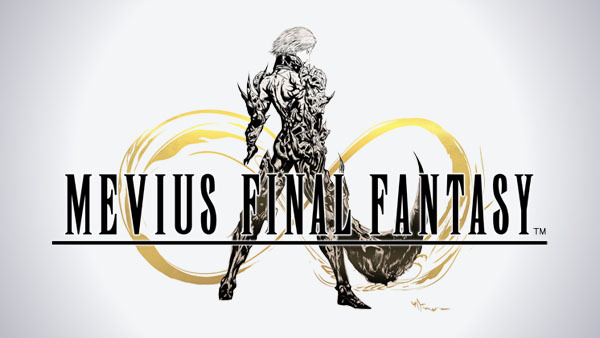 Mevius FF is expected to launch in Japan in March of 2015 with no official word on a western release. With a talented trio of staffers led by Kitase, I am cautiously curious about Mevius. I’m not sure what constitutes as classic gameplay, but if the staff is allowed to simply sit down and design a game, Mevius could be special. I’m curious to see what kind of interview Famitsu had with Kitase and Sakaguchi, those two certainly have to have some stories. 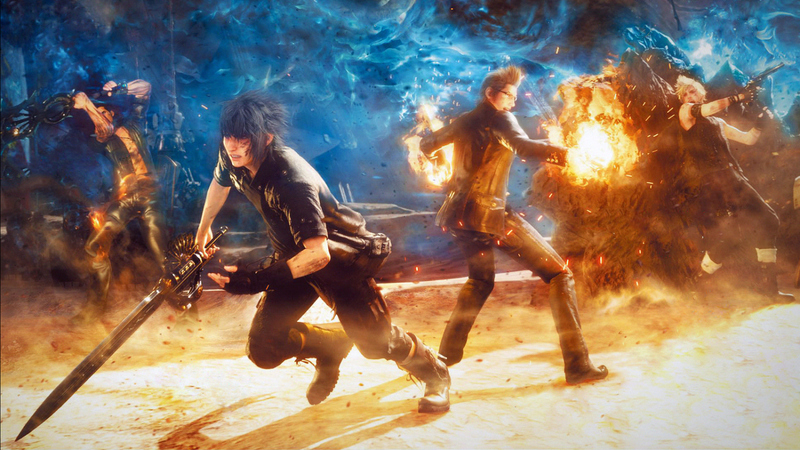 Final Fantasy XV’s hotly anticipated demo will be limited to the first distribution of Final Fantasy Type-0 HD purchases according to an announcement made by Square Enix. There are no immediate plans to release the demo in a stand-alone format so better get that pre-order for Type-0 ironed out. Square had previously announced that FFXV’s demo would be released alongside Type-0 HD, the HD remaster of the Sony PSP title of the same name, so the tie-in should be no surprise. While the limited availability of FFXV demos may cause eyebrows to raise, it is not the first time that Square has toyed with exclusive first run offers to create incentive for pre-ordering titles in advance. One thing to note is that Square Enix has been quick to point out that purchasers of Type-O’s Collector’s Edition will be guaranteed access to the FFXV demo. They don’t, however, mention whether standard edition early purchasers will also be given the demo. Thus far, major retailers including Amazon and GameStop are advertising pre-orders as including the demo, but with the stipulation that bonuses are subject to change. 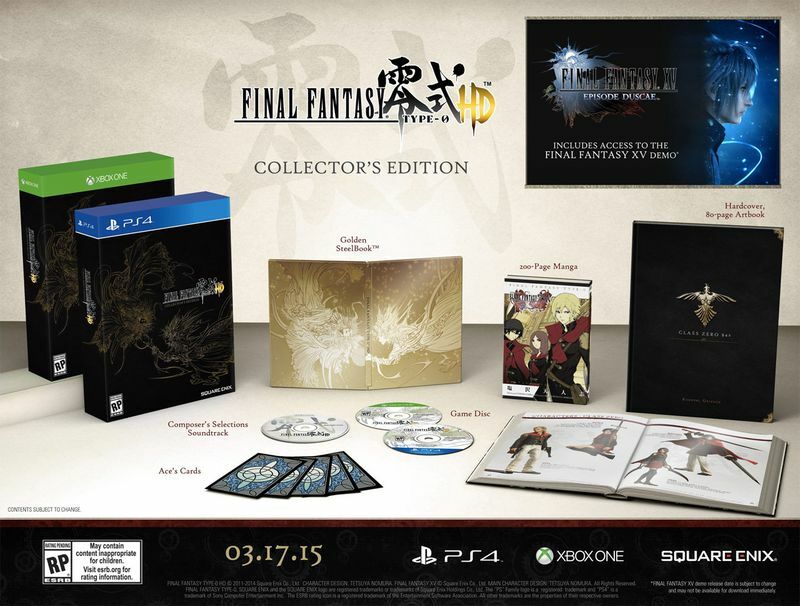 Details of the Collector’s Edition included a soundtrack with selected tracks, a Type-0 manga, 80-page hardcover art book, five life size card replicas, and the bane of my existence, a steelbook case to hold the game. To be fair, I wouldn’t purchase this game solely for the opportunity to get exclusive access to the Final Fantasy XV demo. 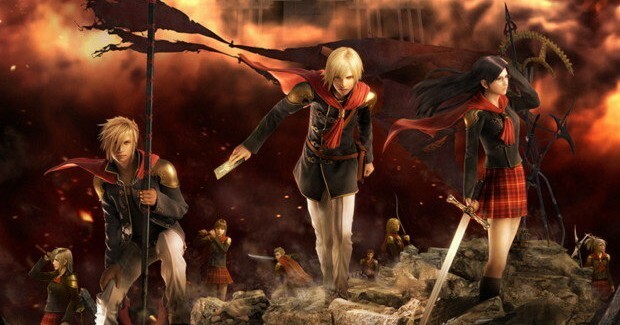 Type-0 is a gorgeous game in its own right and has certainly earned its place in the world of JRPGs with its standout performance as a late PSP title in 2011, the fact that a English fan translation became one of the most popular titles on modified PSPs and that Type-0’s director, Hajime Tabata, has been promoted to director of Final Fantasy XV. Honestly, I’m looking forward to finally getting my hands on a proper release of Type-0, than a demo build of a game at least a year off. Final Fantasy Type-0 HD will release in North America on March 17, 2015 on the PlayStation 4 and Xbox One. The Final Fantasy train just keeps on rolling. Square Enix announced two Final Fantasy titles to come to mobile platforms iOS and Android and will be released this winter in Japan. As told to Famitsu App, the two games will be the traditional RPG styled Final Fantasy Legends – Crystal of Time and the hero-developing, monster-grinding Final Fantasy Brave Exvius. Both will be free-to-play with additional microstransactions available. Crystal of Time appears to be more in line with the two-dimensional RPGs of old, hearkening back to some of Square Enix’s mobile efforts to expand titles like Final Fantasy IV: The After Years. While an effort to make an original game rather than a cash-in are certainly appreciated, I hope the product is close to the high quality of the initial promotional art and screenshots. 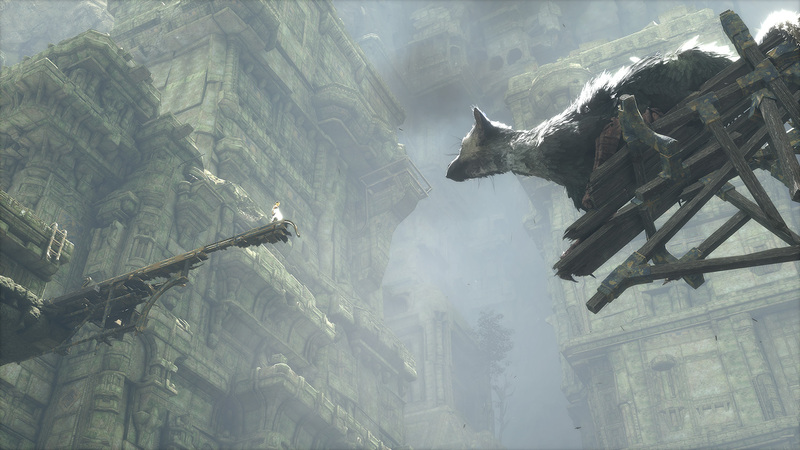 Given that the game will be focused on microtransactions, I expect Square to allow players to download the full game with access only to an early portion of the story. Subsequent chapters will be unlocked individually at a set rate or the entire package can be purchased at a slight discount. Now don’t expect Square to be cheap on this, they have been notoriously stingy on their mobile pricing strategies and I would expect at least $5-$8 per chapter after the initial download. But so long as the game’s quality is worth that price, I’d be willing to play a classically styled Final Fantasy on my phone. Brave Exvius, on the other hand, looks to cater to that quick pop-in pop-out crowd that mobile games thrive on. 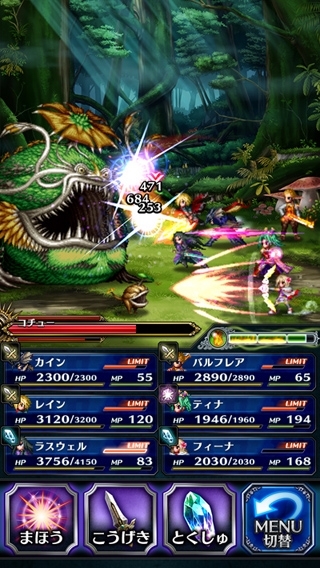 Co-developed by Brave Frontier developer Alim, Brave Exvius very much appears to be Brave Frontier with Final Fantasy’s jobs and bestiary thrown in. Brave Frontier itself was a pretty addictive game that had players grinding through dungeons, collection monsters and heroes to form parties with all while slowly strengthening their characters with collectible currencies. It even had passive competitive multiplayer where you matched up against AI controlled versions of other player’s parties. I spent a good amount of time playing Brave Frontier and would certainly give a Final Fantasy themed version a shot. It does appear there’s a bit more of a focused narrative, instead of choosing your own hero. Brave Exvius will follow the hero Rein, his rival Raswell and the heroine Fiina. Whether this will just be a guide for the main progression of the dungeons ala Brave Frontier, is left to be seen. Square also announced the Final Fantasy Portal App which will contain news and information about the company’s games, products, events and practically everything that the company produces. 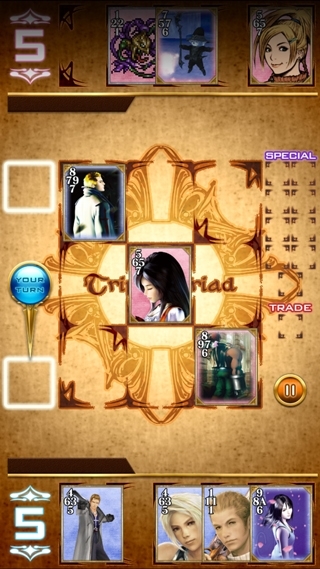 It will also include an mobile version of Final Fantasy VIII’s in-game card game, Triple Triad. The Portal App will also launch this winter in Japan. These are some pretty solid announcements out of Square, so long as they don’t lose any development out of their main console focus. 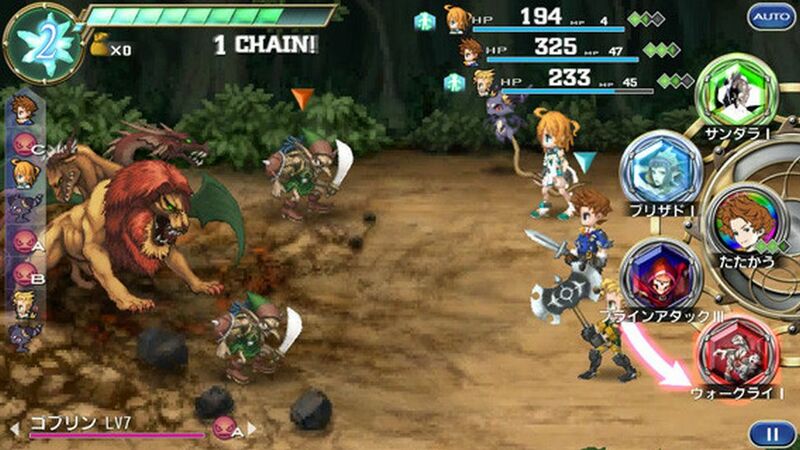 There is certainly a demand for deep RPGs on mobile platforms and their ports have performed fairly well. Just make sure its not another version of All the Bravest.